Charleston Music Fest presents intimate chamber music concerts featuring College of Charleston faculty, and local and international artists. 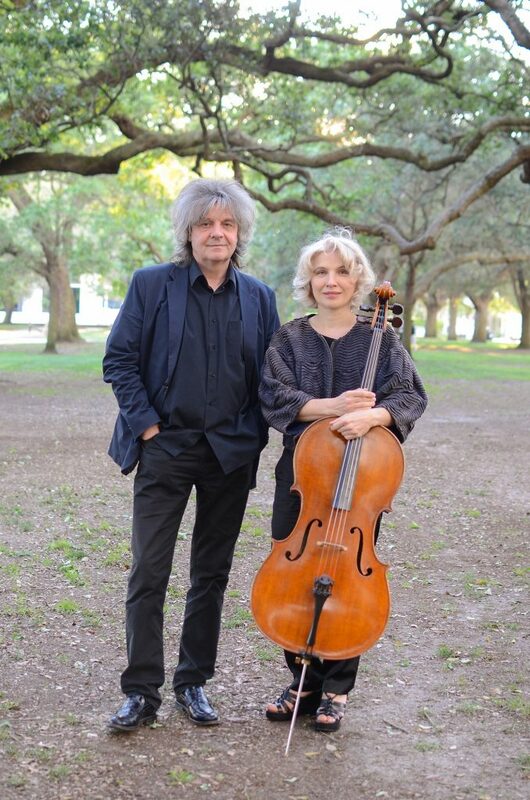 On Monday, Feb. 11, 2019, graduates of the prestigious Moscow Conservatory, faculty duo Natalia Khoma (cello) and Volodymyr Vynnytsky (piano) will present a versatile concert of works by J.S. Bach, Ludwig van Beethoven, Carlo Alfredo Piatti and Myroslav Skoryk, plus the beloved Rococo variations for Cello by Peter Tchaikovsky. The Monday, February 11 performance will take place at 7:30 p.m. at the Recital Hall in the Simons Center for the Arts, 54 Saint Philip St. General admission is $15 and $10 for all students. Tickets can be purchased online, by calling (843) 953-6315, or at the door. Natalia Khoma – Volodymyr Vynnytsky Duo is the unique team of two virtuoso soloists from the same city and with a similar background. Both were born in Lviv, Ukraine, studied at the prestigious Moscow Conservatory, are International Competitions winners. Each has a distinguished career as a soloist, recitalist and chamber musician, and has appeared individually and as a duo with major orchestras and premier chamber music series through the United States and Europe. With performances which have been hailed around the world as “most excellent,” “perfectly controlled and beautifully expressive,” “magical…deeply touching,” “with virtuosity and admirable feeling,” “passion, profundity and poignancy,” “cellist pianist solo soulmates,” the Duo is one of the most electrifying musical partnerships.